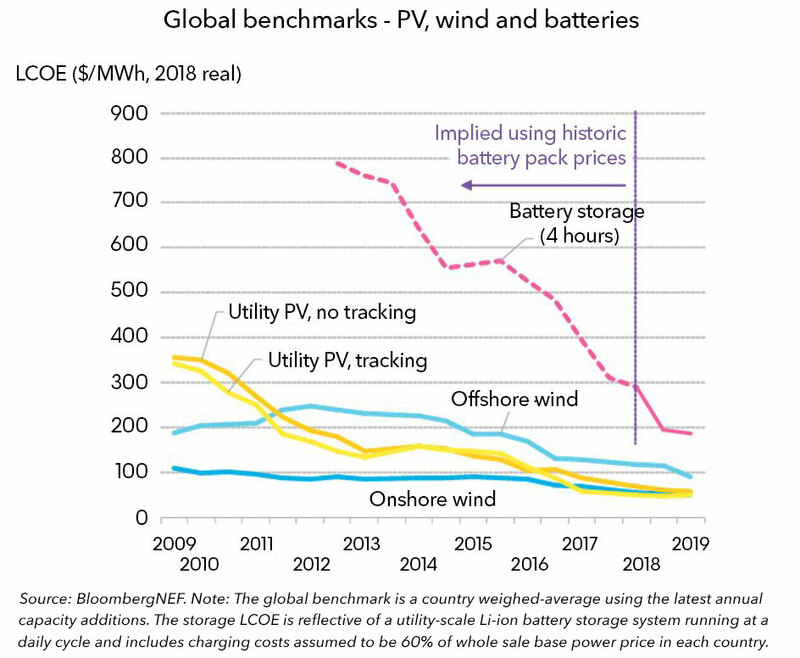 BNEF’s LCOE analysis is based on information on real projects starting construction and proprietary pricing information from suppliers. Its database covers nearly 7,000 projects across 20 technologies (including the various types of coal, gas and nuclear generation as well as renewables), situated in 46 countries around the world. LCOE measures the all-in expense of producing a MWh of electricity from a new project, taking into account the costs of development, construction and equipment, financing, feedstock, operation and maintenance.